Your monthly gift turns into Life Support. When you give to Care Net, you make sure that women facing a pregnancy decision always have a place to come for life affirming resources. Whether it’s a pregnancy test, an ultrasound, an options consultation or a room in our maternity home - your gift says these resources will be available each and every month. When you join our Champions for Life monthly giving program, we will send you our quarterly newsletter so you can see the impact of your gift. We'll also send you a magnet for your refrigerator to remind you of the lives you are saving and transforming through your generosity. A gift of $10 a month can provide a pregnancy test, ultrasound, and full consultation for one of the 200 women we reach each year who is facing a pregnancy decision. A monthly gift of $35 can provide a week of support for a mom and her baby living in The Elizabeth House. 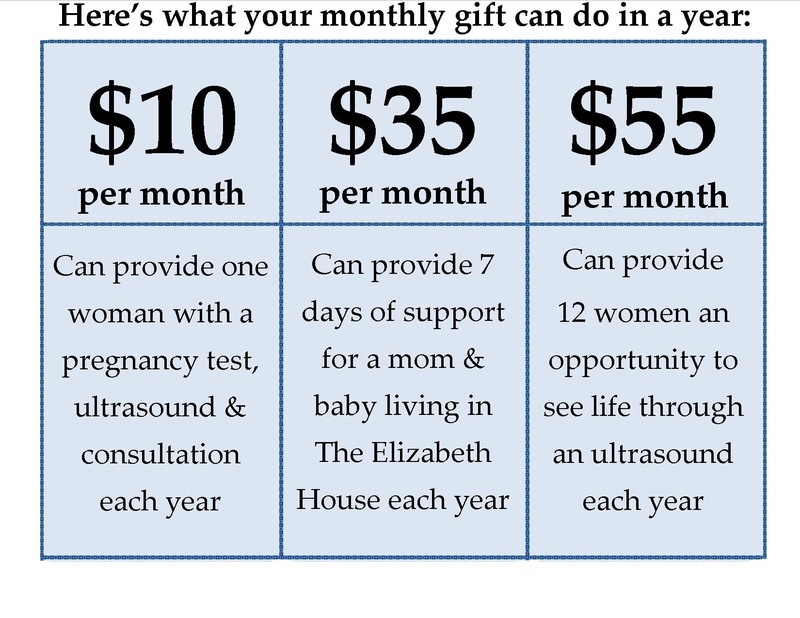 $55 per month can provide 12 women with an opportunity to see life through an ultrasound. 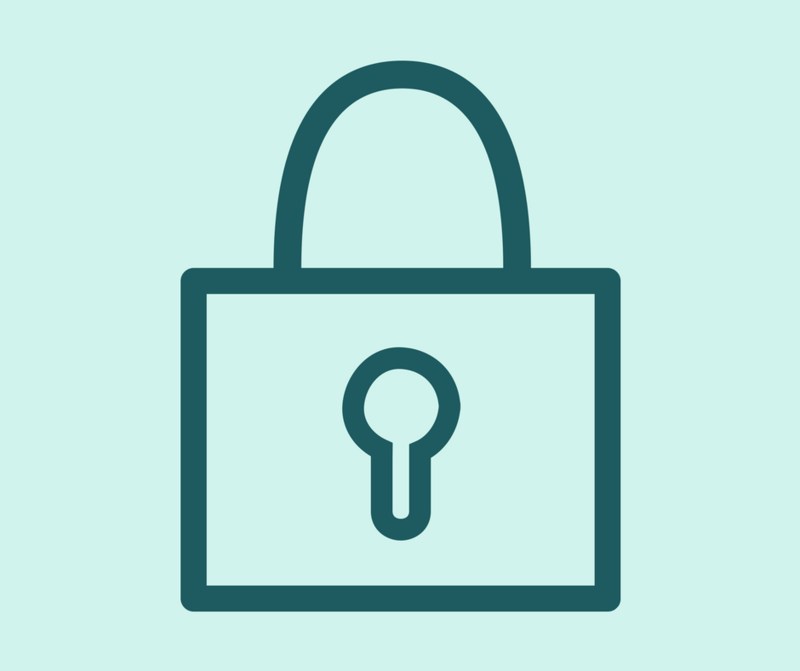 Your ongoing financial support helps sustain Care Net’s mission to help women and men facing pregnancy decisions. You provide help, hope and healing to women like Lauren* who come to us believing abortion is their only option. Lauren is a lot like many of the women who walk into our clinic each day. She feels overwhelmed and confused. There are many voices telling her what she should do. But at Care Net’s First Care Clinic we take the time to listen to Lauren’s heart. We speak hope, life and love to each and every woman and man who walks through our doors. Your monthly gift makes that possible. 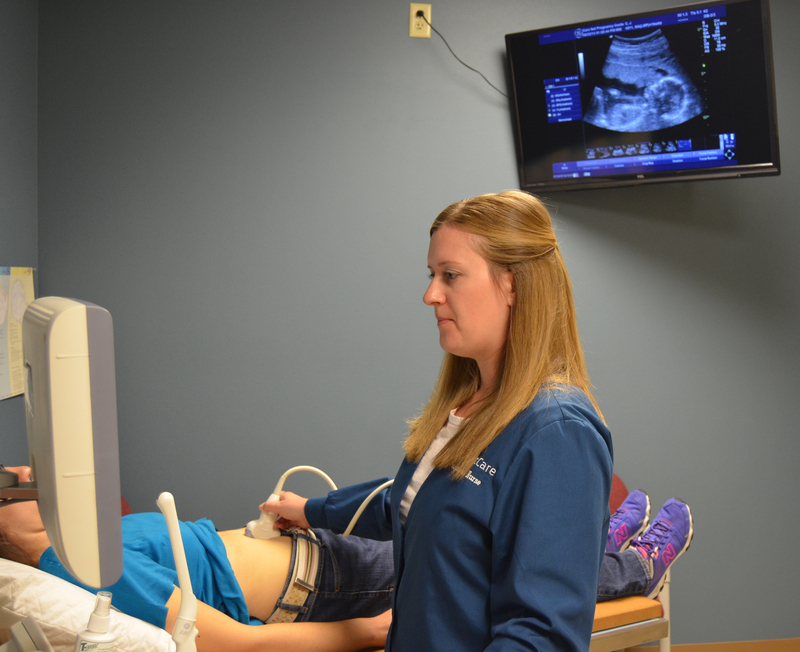 Because we work hard to stretch every dollar, a gift of $55 can provide an ultrasound, free of charge, to a woman making a pregnancy decision. Your gift allows young women like Chandra* find her worth in Christ and embrace the true meaning of flourishing for herself and her baby girl.